Are you passionate about woodworking and want to start a woodworking business at home? Here we compiled 20 woodworking business ideas that you can develop also as a part-time small business opportunity. 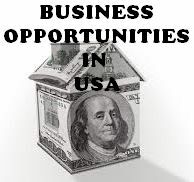 Woodworking business can be initiated with a small startup capital investment. It only requires some specific tools and wood as raw material. Woodworking is simply making and creating decorative and utility items from wood. Selecting the right saleable products is crucial to starting a woodworking business. You can start selling from your home and also from crafts fairs. You can also sell on consignment from local retail, gift, and furniture shop. You can also sell the products from online marketplaces. Here we put most profitable 20 woodworking business ideas that you can start with simple tools and equipment. These products are popular and easy to make also. You can also add creative woodwork with these products. Wooden beer bottle crate with lid is very popular and utility item. It can be used for household storage and also while traveling. You can make this item with wood and simple tools. The process is also simple. The wooden beer mug is an innovative product. You can create different types of a wooden beer mug with different shapes and sizes. A bookshelf is also considered as a decor item. You can make different types of a bookshelf. You can also go for customized bookshelf according to your client’s demand. The wooden business card holder is often considered as a promotional corporate gift. It is a million dollar industry now. Different variety of wooden business card holder can be made with some simple tools. The cabinet is a useful and decorative item also. It has wide household and office usage. Here also you can make different innovative cabinet by using simple tools. You can also create a customized cabinet as per clients specifications. The wooden candle holder is a useful decorative item. It is also considered as a gift item. Various different types of wooden candle holders are very much popular and the making process is also simple. Cutting board is a kitchen utility item. It comes in different sizes. This product is very popular and you can make different types of cutting board by having some simple tools. Hardwood chopsticks is an essential dining item. It comes in different sizes. This product is popular and you can make this product by having simple woodworking tools. iPod stand is a utility decor item and is widely used in home and office both. Wooden iPod stand is an innovative product and also is a very attractive one. You can make this product with simple tools. The wooden jewelry box is a widely used product among ladies. It generally comes with attractive pattern work on the lid. This is a popular product and the business can be initiated with a small capital investment. Wooden photo frames are considered as home decor and gift item. Broadly you can find two types of the photo frame. One is a wall hanging and another is table stand. This is a very popular product also. Planter boxes can be designed as customized also as per the client’s required size and shape. It normally used in windows and in the balcony. Sometimes wooden planter boxes are used for indoor plant decoration purpose also. Wooden puzzles are the most popular item among wooden toys. You can make different innovative wooden puzzles for children using some simple tools. Various different types of sitting arrangement with the table are considered as a home decor item. Sometimes these are used for outdoor sitting arrangements also, such as in garden and terrace. Different types of innovative sitting arrangements can be made by using simple woodworking tools. Wooden spoons are essential items for kitchen and dining also. Different types of spoons with different shapes and sizes are used for different purpose. You can initiate wooden spoon making business as part-time also. Storage box is an essential household furniture and also considered as a decor item. Storage box with sitting arrangement is a very popular concept. You can make different types of storage box with the innovative pattern. You can also make a customized storage box as per client’s specific requirement. Wooden wall art is a popular home decor item. Huge different types of wall art can be made for home and office use also. For the small and large wall, you can create different types of wall art of different sizes. The wardrobe is an essential furniture item and it is used at almost every home. You can make different types of the wardrobe with door and without door also. Nowadays wooden pen is considered as a promotional gift item also. And for that purpose people buy a wooden pen in bulk quantity. Apart from this, it is used for official and education purpose also. You can start a wooden pen making business by having simple woodworking tools and with small startup capital investment. Wooden USB drive is an innovative product now. It is also considered as a gift item. Crafting process is also simple. You can start this business from home. Start your Own Woodworking Business for Under $1000 and make $90,000 – $150,000 every year. Here we have listed 20 most profitable woodworking business ideas that can be initiated as part-time with small startup capital. However, you can set up a full-scale woodworking unit also with a production target of different woodworking products.